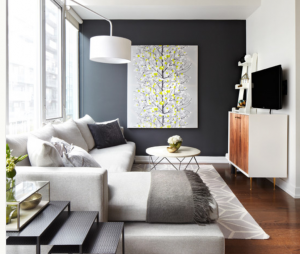 Start 2016 Off Right with a Beautifully Decorated Home! We’re turning back the cover of 2016; each day the freshly printed scripture of a 366 page novel. What kind of story do you want to write for yourself? Is your story classic and full of love, handwritten by Jane Austen herself? What about a modern drama with prose that paint a picture clearer than an Arizona night sky in July? How do you imagine the setting to be? Beautiful? Inspiring? Picturesque? Look around you, the chances are that the plot of your life is less fairytale than your dream 2016. Unfortunately, we can’t write you into the next great American novel, but we can bring light to the horizon. So much of your life is tied to your home, it’s where you eat, sleep, wake up, and spend time with your family. Your home is the biggest investment of your life and when it is disorderly you can often carry that stress with you. Let our staging professionals help lift the burden and get you back on track to making the most of the New Year with a full home redecoration. We can maximize the potential of your existing home furnishings or help you pick out a new layout entirely. Real Estate Agents use our services to guarantee that their clients’ homes sell for top dollar, but you don’t have to be moving for us to make your home look at its best. Read through some of our previous articles on home decorating and then contact us by means of the information provided below to set up a consultation. We can’t wait to become part of an uplifting chapter in your 2016. 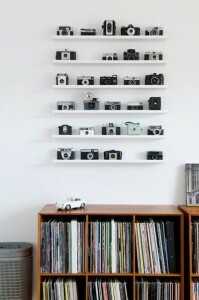 Collections! Almost everyone has one, but is yours improving the design of your home or ruining the space? It doesn’t matter if you collect stamps, coins, sports memorabilia, American Girl dolls, Coca-Cola bottles, or cars, exhibition is key. Your comic book collection may be appraised for $20,000, but if it is sitting in boxes in the corner of a room, you’re missing the most fun part of the collection; SHARING IT! Use the value of your collection to increase the value of your home; invest in quality and appropriate displays for your collections to really make your house your home. There are endless examples of collections with varieties in size, value, and type that it is impossible to provide you with a hard and fast rule to use when displaying your memorabilia. Additionally, your personal collection deserves to represent the individuality of its owner. However, we can turn your home (or a part of it) into a beautiful museum that uses the existing features of your home to highlight your collection, as well as use the items that you have curated to accentuate your beautiful home. Let us help you unleash your inner nerd, whether that means turning your office into a library, the basement into the “Bronco’s Corral” or a spacious wine cellar, or even transforming your living into a true “media center” with all of your movies and video games carefully collected over the years. If your precious collection is in desperate need of our decorating or staging services, contact us today to set up a consultation. We will meet to learn all about your collection, see the space, and figure out how to effectively and tastefully represent your personality. December is here and that means that Christmas decorations are going up! This is our favorite time of year because everybody is showing off their creativity and whole blocks of neighborhoods are lit up and cheerful. However, we also understand that the process of delightful decoration can be a dark journey. So, we have decided to provide you with some tips on one of the best or most contentious parts of decorating for Christmas, getting a tree (that looks good and fits). 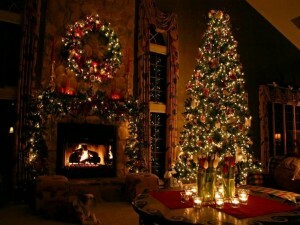 You need to decide if your tree is going to be real or artificial. Both have their pros and cons, but ultimately it comes down to your family’s personal preferences. Natural trees are more traditional, fill a room with a Christmas-y and coniferous scent, and provide a day of family activities, from picking one out to decorating it. 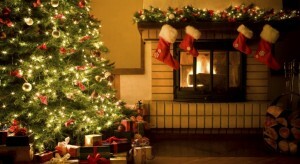 However, this route is not without difficulties, for example, you have to buy a new tree every year, transport it, fully decorate it, maintain it so that it does not dry out, fully undecorated it (don’t throw your ornaments out with the tree), and finally dispose of the tree. There is a lot of work involved in cleaning and maintaining a live tree, so be prepared to meet the challenge. 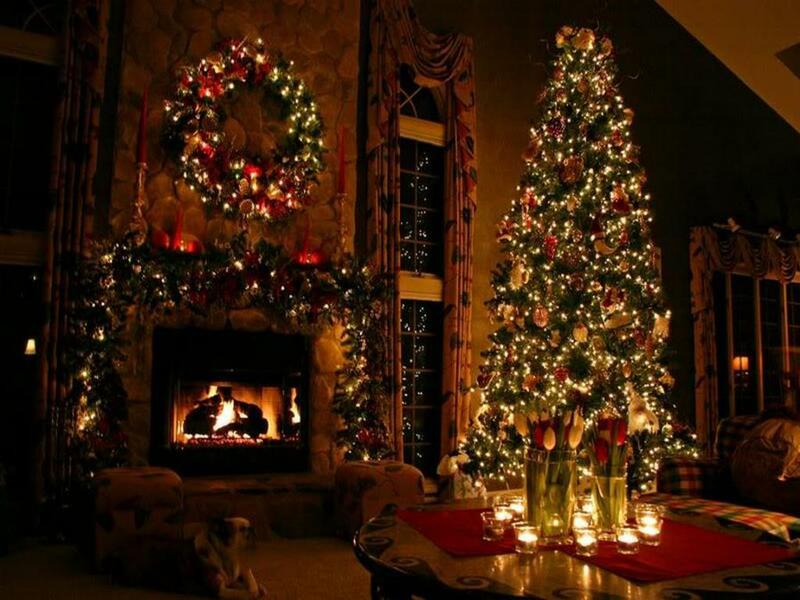 Artificial trees are also great for all of the reasons that live trees are not, but you also miss out on the full experience of choosing and decorating, since many artificial trees have built-in lights. Know where you want to put your tree. Weigh your options: Should it be next to a window so that people walking outside can see it? Is it near an outlet? Will the reflection create glare on the TV? Is it too close to the fireplace? Is it in the way of anything? The time to be critical of the placement of your tree is before you buy it. You don’t want to be holding the tree and have to walk it around the house. If you have a couple options, it might be good to have a planned backup position for the tree. Set the stand where you want the tree to be placed and clear a path to that spot BEFORE you go pick out a tree. This way you’re not breaking anything or getting frustrated trying to trip over anything when you bring the tree into your home. Pick out a tree that you love. We can speculate about branch placement and spread, but in the end, it’s you’re tree and you will love it for the reasons why other people didn’t pick before you. Just make sure that you have a good time celebrating this age-old tradition with the people that matter most to you and have a very merry Christmas. If you have chosen your perfect Christmas Tree, but still want to provide your family and friends with that big “WOW!” when they come visit, give us a call to help decorate your home. We love decorating and we love Christmas. Enjoy a nice glass of wine while we do all the work and make sure that everyone is envious of your holiday décor. When you’re planning the layout for the design of a home there are several things that you have to consider; the purpose or the space, the theme of the house, the needs of the inhabitants… But there are always piece of the home that are handcuffed together, chairs and ottomans, counters and stools, TVs and cable jacks, and most importantly, windows and mirrors. If you are looking to remodel, you’re in the fortunate position to choose the placement and size of your windows. However, if you are like most of our clients, your windows are remaining in place and you need to find a way to maximize the light that they let in. Fortunately, we can give you a few tips to help make the most of your windows with the help of strategically placed mirrors. As many of you either already know or have gathered from the title of our article, place your mirrors so that they can reflect the natural light that shines through your open windows. 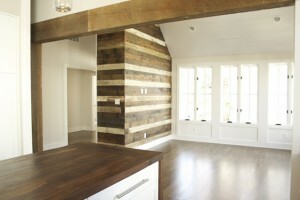 Many articles and blogs about Maximizing Natural Light or Making a Room Look Bigger will leave it at that, but not us. We’re about to use a scary word that you probably haven’t heard since High School, but its principles will be much easier than you think… We’re going to use trigonometry. Just reading the word probably sends shivers down your spine, but we will simplify the principles of the science to something that you can estimate while placing your mirrors, not pencil-to-paper math required! By definition, trigonometry is just the branch of mathematics that studies the relationships of lengths and angles of triangles. Since the “lengths” part of this definition is dependent on the intensity of the light that shines through the window (and consequently out of our control) we don’t have to worry about it. 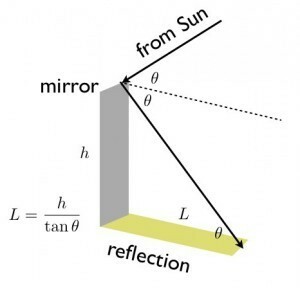 Instead we will be focusing on the angle at which the sunlight hits our mirrors and how it reflect into the room. 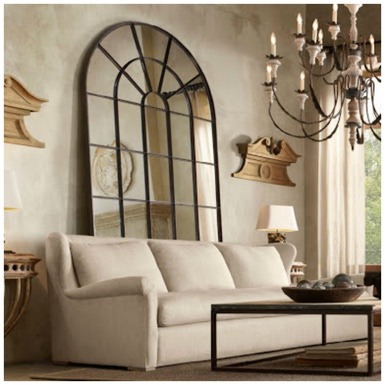 The first step to placing a mirror is something that we at Staging Denver do best, choose a mirror that is stylish and matches your home décor. We recommend scheduling a consultation and letting us provide you with a few options. However, once you have chosen a mirror that accents the space, it just takes a little work to make the most of the natural light that you are given. Watch the light hit the wall, make a note of when either you have the most light entering the window or when the light is the most intense. At that time, hang your mirror in position so that it catches as much light as possible. Once hung, begin to angle your mirror slightly towards the ceiling so that it reflects the light back into the room. Once you find the angle that provides your home with the most light, measure the distance from the bottom of your mirror to the wall. Take your mirror off the wall, fasten foam spacers to the back of the mirror so that it maintains that same angle and then re-hang. At this point, you are done! You have successfully used trig in a DIY project to brighten and beautify your home! Congratulations! Just repeat the steps for each room and bask in the warmth of the afternoon sun anywhere in your home. However, if you started reading through the article and zoned-out after “trigonometry,” we would love to come do the work for you. Just set up a consultation by contacting us at any of the methods provided below and we promise to do a lot more than hang mirrors in your home. Thanksgiving is a wonderful holiday with the sole basis of appreciating the people in our lives and the things that we have. While we wish that we didn’t need the reminder, it is good to have a day that we can take a step back and reevaluate our attitudes towards our loved ones, our coworkers, and even the strangers we see every day on our way to work. We, the individuals of the Staging Denver Team, hope that you will join us this Thanksgiving in the resolution to start actively appreciating others for their efforts to try and make our lives better. 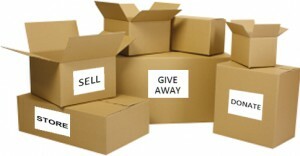 We, the business of Staging Denver, would like you to also focus on appreciating the things that you have. 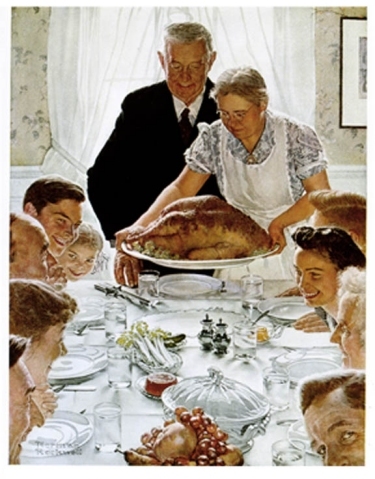 Thanksgiving can often make this a little more difficult because the things for which you are grateful can also become a major source of stress, turning your planned Norman Rockwell-esque Thanksgiving into an unmitigated disaster. Fortunately as Professional Stagers, we know how to help you give thanks for your home by giving it a facelift. You don’t need to buy all new furniture and undergo a full renovation to admire your house again. We work with what you already have (and sometimes suggest removing a few things) to make your home more than just livable, lovable. During this weekend, if you find yourself squeezing past family members, tripping over ottomans, or having trouble comfortably watching the football game, give us a call. We are more than happy to set up a consultation and start preparing your home for an enjoyable Christmas dinner. In our last blog post, we talked about how our stagers can help home sellers deflect the seasonal downturn of the housing market. This week, we are talking about highlighting your home in every season, regardless of when you are selling. Before you put away all of your photo albums, we recommend that our clients take out some pictures of your home during all four seasons and give them to your realtor. The purpose behind pulling out a bunch of photos of your home throughout the year is so that buyers can experience the full story of the house. If it is summer, those maple or aspen trees in your front yard may be full of green leaves and look nice, but a buyer may be swayed into bidding a little higher if he or she knows that they are going to turn a vibrant crimson and campfire yellow, blanketing your front yard leaves like a patchwork quilt. Show off the peonies and tulips that you planted along the side of the house that blossom magnificently around late April into May and are a great feature of your home, but it is November and their current state is less than breathtaking. What if it’s 105 degrees on the day of your open house and one of the biggest selling points of your home is its wood-burning fireplace? 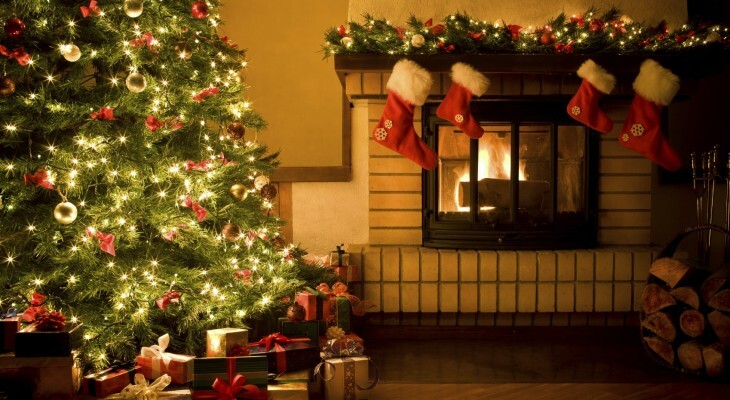 It’s something that may be overlooked, unless you can provide a series of photos of your living room decorated for Christmas with a tree by the hearth with stockings hanging from the mantle. Our point is that how your family lived in your home is the inspiration for the next family’s story. Even if you’re not planning on selling your home any time soon, it’s good to start photographing your home whenever you’re happy with how it looks. They will be very useful with helping your real estate agent sell your home for more. However, we do recommend against using pictures of your family. It is our mission to help potential buyers imagine themselves living in your house, if it is decorated with images of your family, the buyers are more likely to feel like strangers in the home and resist growing attached. 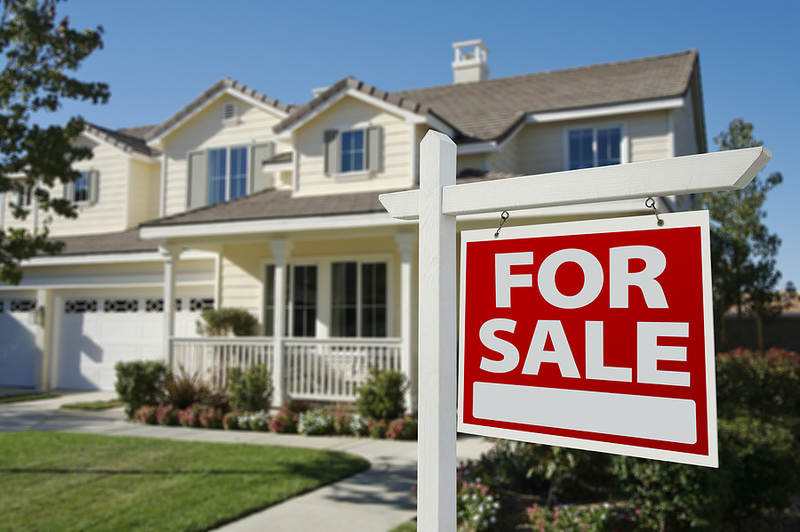 If you do decide to sell your home, we are more than happy to help. Contact us by the information provided below and we will help you stage your home to sell for top dollar so that you can move on to the next chapter in your story with a smile on our face, a sense of adventure in your heart, and a spare dollar in your pocket. 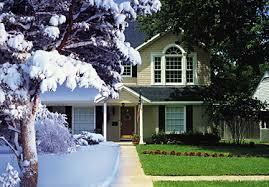 As the year fades into the frigid embrace of winter, the housing market also begins to freeze. You can view the cycle on Zillow’s Reports. Even with the great seller’s market we have here in Denver, you will be able to see a relative decline in home prices. There’s just something less attractive about the curb appeal of a home when it’s below freezing outside. However, the professional Stagers at Staging Denver like to use this annual occurrence as an opportunity to create a warm home atmosphere that will welcome potential buyers out of the snow. Consequently, we at Staging Denver see an amazing number of closings in November and December due to those insightful individuals who want to beat the market average and get top dollar for their home when it is pertinent for them to sell. We understand that you don’t always get to choose when you sell your home. 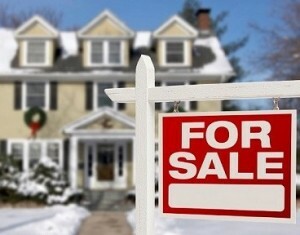 For many of our clients, their homes have to go on the market during the winter slump. Fortunately, we can create a design that will not only accent the beauty of your home and maximizes space, we can use bad weather to show off some of the nuances of the house that may have been ignored during the summer. Maybe you have a spacious mud room, a convenient front closet, or a beautiful fireplace that can be accentuated. We can arrange the furniture and belongings already present in your home to put your best foot forward without completely removing and redecorating the space; if you are still living in your home while you are trying to sell, this is the most cost efficient and convenient option for you. On the other hand, if you have already moved and your house is vacant, we have a warehouse full of furniture and accessories that can be used to highlight your home’s amenities and raise its perceived value by thousands of dollars. Contact us at the information provided below to set up a consultation and begin the next step in selling your house for top dollar! 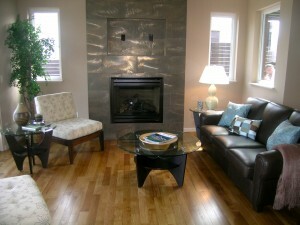 We also perform decorating services, so if your new home needs some direction, we can help you fill it with style. At this point, you’re probably thinking, “I thought the market was cooling off. 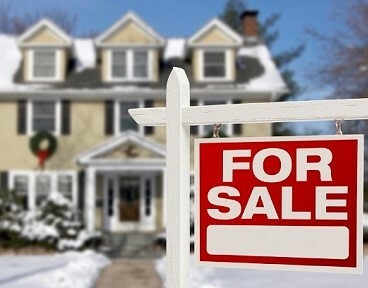 June broke more records, how is that cooling off?” One thing we failed to mention from the article, which you can read in full by clicking HERE, is that June had 6,197 active real estate listings, a 10% increase from the previous few months. Despite this number still being 20% less than it was at the same time last year, it indicates a change in the trend. As the market begins to balance from a strong seller’s market to allowing buyers some bargaining power, you can expect to see some interested individuals ask about purchasing contingencies and fewer people submitting offers that are above list price. During this time, it is important for you to keep the competition on your house listing high to get top dollar for your home. This means that you need to back up the value of the house by presenting it as the dream home it could be. This is where we at Staging Denver come into play. We stage homes to make sure that they sell for quickly and above the asking price. Our team of experienced stagers know how to polish each room to create a storybook home that makes it possible for potential buyers to imagine themselves living a dream life in the house, leading to more buyers making offers and ultimately higher bids, and an above-asking price offer.